Depression is a complex phenomenon. Many explanations have been given for it. In this article I will study the relationship between feelings and depression in teenagers. It’s commonly believed that the teenage years are characterised by intense and hard-to-control feelings. Teenagers are often seen as problem-makers, unless they obey perfectly the expectations of society. This conflict between society and teenagers’ behaviour and feelings is culture-dependent. It can’t be considered as a psychological trait common to all the cultures of the world. That is, it can’t be considered as an archetypal psychological trait. This means that a conflictual attitude of teenagers with society doesn’t contribute to define human nature which has to be the same all over the world regardless of race, culture, nationality, gender, religion, and so on. Since there is only one humankind, any psychological statement that fails to cross the boundaries of its culture of origin is wrong. It has to be seen if teenagers are problem-makers because of their wrong nature, or because they are so made. Depression in teenagers might be caused by the strong pressure put on them to show the socially desirable feelings and repress the ‘bad’ ones. Teenagers might be problem-makers because they desire to see their authentic feelings accepted instead of judged and moulded to fit an ‘ideal’ model. One of the main causes of depression is how we think about ourselves. If we have a positive outlook towards ourselves, we are less likely to fall sick from depression. We may consider our authentic feelings, whatever they are, as deserving attention and interest. We may consider them as being of no value or even just plain wrong and needing replacement with acceptable and desirable ones. In the case of 2 we will please others by showing acceptable and desirable feelings. The problem with this arises from the fact that those feelings are false. We are required to lie to ourselves. We can call this problem, if you like, “hypocrisy applied to feelings”. This outlook towards our feelings is a negative belief and may cause depression in teenagers. That art is a mean to express feelings doesn’t require demonstration or explanation. Poetry, painting, dance, drama are all about feelings. Joy, passion, love, sadness, every human feeling has found its artistic expression. All these artistic expressions of feelings are subjective. They belong to the artist who produced them. No definite representation of a human feeling can be found, and this is as it has to be. Art helps exactly because, when we create, we are truly ourselves with no need for being hypocritical about our feelings. Art therapy for depression in teenagers has many benefits over talk therapy. Let’s highlight a few of them. Depressed teens might associate talk therapy with judgements. Artistic expression doesn’t suffer from this problem. Asking depressed teenagers to express their feelings by writing, drawing, acting or dancing, we eliminate judgement from the relationship between depressed teenagers and their therapists. This happens because judgements are always delivered by talking. At least I don’t know of parents, teachers or educators delivering judgements by drawing or writing. 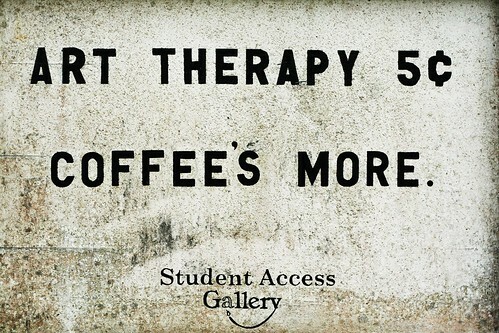 One more problem that art therapy eliminates is the idea that talk therapy is for serious mental illnesses. This idea comes from how media portrays talk psychotherapy. It’s useful if depressed teenagers can see their problem as not being serious. This makes the therapy more likely to succeed. In some serious cases of depression, there might be issues of abuse at home. Depressed teenagers with a history of abuse might be told not to tell strangers about this abuse. But they aren’t told not to draw or write about it. A trained therapist will guess this problem of abuse from the drawings and writings that a depressed teenager produces. I’m going to detail three art forms commonly involved in art therapy for depressed teenagers. Writing therapy is well known to be useful in treatment for depression in adults. A therapist using writing therapy to help depressed teenagers could suggest keeping a daily diary in which teenagers will write freely about their feelings and about their reactions to events in daily life. Depressed teenagers might be asked to write a short story where they are the main character. Their depression can be investigated by having them write a portrait of their depression, or what their depression would look like if it was an animal. Many other subjects to write about are possible. The therapist will use his creativity to find a subject that will enable depressed teenagers to express their feelings in the most complete way. If writing recalls talking and its association with judgements, drawing eliminates this problem completely. During a drawing therapy session, depressed teens may draw events in everyday life , an image of themselves, their sadness, the colour of their depression, a scene portraying their relationship with someone. Dance is powerful in telling the story of a feeling. Dance routines can be invented to tell what your anger is like and what happens to it. Dance therapy can be performed in groups. In this case depressed teenagers dance the story of their feelings and the other teens attempt to understand it. Author Bio: Denny Dew is passionate about helping depressed teenagers. Check out Denny Dew’s site, Depression Teens Help, to learn more about depression in teenagers and how depressed teens can be happy again. About 80% of teens are highly affected by mental illness called depression. Depression in younger age will affect their mental health widely. This depression has great impact on their life.